Developing a solid personal injury claim or case can be difficult, especially if you were injured in an accident. Pursuing a lawsuit after an oilfield accident will require you to find a knowledgeable personal injury attorney. The right attorney will be sympathetic to your suffering, understand the task at hand, and be experienced in fighting for the rights of victims in work-related accidents. The following can help you find a personal injury lawyer after an oilfield accident. Word of mouth is the best source in finding out if a personal injury attorney is good at their job. Read through the client testimonials found on various review websites, because each will have a wide range of opinions and comments. Every attorney works differently, but the testimonials will offer a broader look on how they interact with their clients. Also, it is important to verify a personal injury attorney’s credentials with the state bar association. If they are not valid, the person may be a fraud who is trying to steal your money. There are no bad questions to ask in this portion of the hiring process. You want to hire a personal injury lawyer that’s fully committed in representing you. Before sitting down with a personal injury attorney, you must have an idea about what your budget will be. If you have been injured with others from your job, it might be wise to work together and file a class-action lawsuit against your employer. If you’re pursuing a personal injury case alone, there are several federally-funded legal aid programs that provide grants to undocumented workers, people with disabilities, and low-income families. It is important to remember that although setting a budget is wise, you may not have to pay anything upfront at all. Many attorneys, especially those who are experienced, will offer free consultations and not require payment until you have won a case or settlement. Be sure to ask each lawyer you are interested in hiring how their payments are handled. Pay close attention to how your personal injury attorney speaks with you about your oilfield accident case. You should also gauge their body language during the each conversation. Your lawyer and their staff should give you respect and courtesy. It is important to have an attorney that isn’t just looking to win, but also seeking justice for you as well. In your initial meeting, be prepared to provide full details of your case. That means showing evidence (medical bills, photographs, and other written documents) that will assist with creating your defense for a possible lawsuit. Don’t be afraid to schedule several meetings to go over the progress of the case. This will show your lawyer’s work ethic and commitment to you as a client. Also, consult with several different law firms and personal injury attorneys before making your final decision. Given the uniqueness of oilfield accidents, it is important to hire a personal injury attorney that has experience in this area of the law. They should have some familiarity identifying workplace negligence and common dangers present in oilfields. Cases of this nature can become complicated if taken to court, and your defense will need a dynamic attorney to represent your side. They must also have the experience to identify the right financial settlement needed to help cover your lost wages and other out-of-pocket expenses. Do you have a solid personal injury case? After all of the information has been provided, your personal injury attorney must show that negligence was the cause of the oilfield accident. Evidence and witness testimony will help to support your case. It’s important to show the undue stress caused by the impact of the accident on your life as well. Too often, employers will instruct victims that their only financial recourse is to file a worker’s compensation claim. Others will prohibit them from returning to work until they have formally signed away their right to pursue a personal injury lawsuit. These options do not allow you to receive full compensation for your pain and suffering, but hiring an attorney can. Do you need an experienced personal injury lawyer? 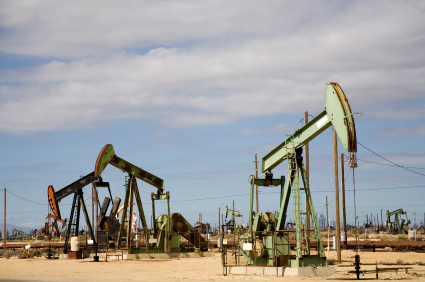 If you have been involved in an Oilfield Accident, you need a lawyer that you can trust. Contact Attorney Dean Boyd today to find out how we can help you with your claim or lawsuit. You can call us at (806) 242-3333 or Contact Us via email to learn more about our Services. You can visit our office in person at 4423 SW 45th Avenue in Amarillo, Texas or 5012 50th St #103 in Lubbock, Texas.